After first ‘pioneering’ solar and wind projects such as in Morocco, Egypt and the UAE the broad energy transition has recently definitely shown a break-through in the entire region. Just recently DEWA, Dubai announced another world record of a 700MW CPS Tower at 7.2 $ct/KWh. This completes the competitiveness of the trio PV, Wind and CSP without subsidies! 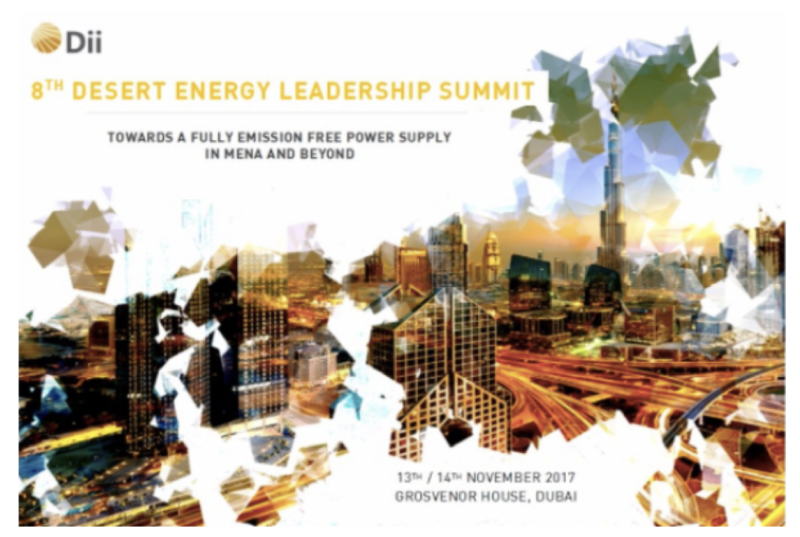 The Desert Energy Leadership Summit, once a pioneer itself, has become THE leading event on the practical migration towards a fully emission free power supply in the regional and inter-regional context. ‘High level discussions’ about the emission free power markets of the future are important, but at the end what will determine success is the answer to ‘how do we get there’, step by step, safely and economically and with local benefits, taking proper account of the complex local environment. The Summit will, thus, focus on the experiences with concrete emission free (non-nuclear) projects in the deserts,and the practical integration in the local and interconnected regional power grids and markets. Acomprehensive power system approach adopting bankable RE and grid technologies and new elements, such as different types of storage and/or alternative transport media such as hydrogen,methanol or solar based desalination, will make the Summit an absolute ‘must’ for key professionals in the energy community and beyond. How to overcome practical hurdles for renewable energy projects in the region? How to make sure that renewable energy projects will be bankable, commercially sound, attractive and predictable? Highlighting a.o. experiences in the field and Dii’s ‘Toolkit for RE Projects’.